FUTA: Documents needed for the PDS & UABS screening Tomorrow. This is to inform the general public that the 2016/2017 predregree/UABS screening holds on Tuesday, 29th November, 2016 by exactly 8am-4pm, As stated before. Eligibility and proceeding list will be pasted on the notice board at CCE building. First thing to do is to check your name via the shortlisted names. Screening holds at CCE Multipurpose hall, besides the CCE Admin Block (White), Obanla FUTA. No examination, nor interview, it's just a credentials screening like the Post Utme screening. E-tranzact slip for payment of form. Your Original O'level results, one to two sittings. 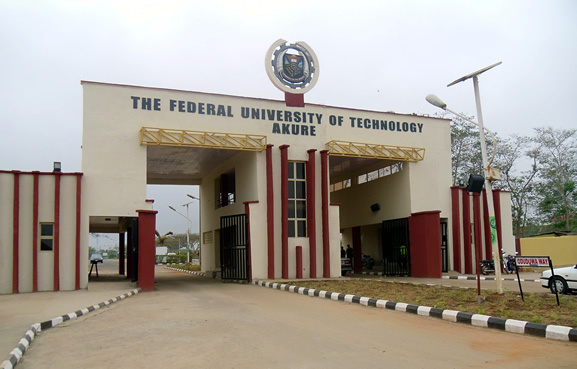 Print out of PD and UABS registration from FUTA site, www.futa.edu.ng. At least 5 photocopies of each documents aforementioned. (yet to be fixed) "Based on first come first served, limited spaces within". Tuition Fee for Predegree still remains constant, at the rate of #160,000 only, excluding bank charges (#300, E-tranzact Platform). Only and most be done before it closes tomorrow 29th november. In luo of this, Candidates should be aware that the ongoing rift on campus has nothing to do with their program, and therefore advised to come with their various accessories like books, wears etc. Commencement of lecture starts immediately as stated earlier.